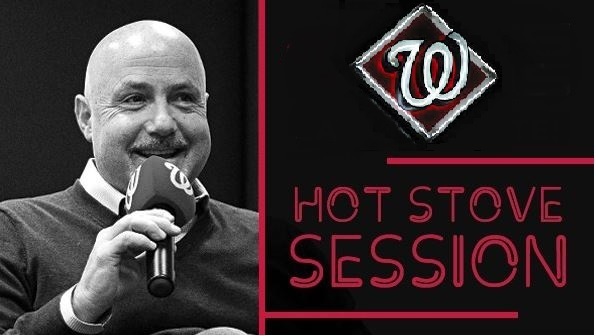 The Mike Rizzo “Hot Stove” event for Washington Nationals season ticket holders with full season packages is a “must attend” date on the calendar. This is the event where Mike Rizzo speaks a little more freely because there is no invited media to the event unless they have season tickets or invited by a season ticket holder. Last year Mike Rizzo made headlines when he declared A.J. Cole was his fifth starter. He did not mince words, and when we printed up the quote it became headlines and graced the pages of MLB Trade Rumors. In the end, A.J. Cole was named the fifth starter, and it turned out to be a fail. Cole did not come into spring training with an improved changeup, and he struggled out of the gate against lefties and gave up 10 earnies against the Braves in his first start of 2018. Cole did better in his next start, but Rizzo got rid of him in favor of Jeremy Hellickson. In past Hot Stove events, Rizzo has given up other inside info. This year’s event should have a large dose of Bryce Harper discussion, and maybe just maybe we will find out the truth behind all the rumors on Harper. Stay tuned to the TalkNats Twitter feed which I will be taking over today. What questions would you ask Mike Rizzo today and manager Dave Martinez if he is in attendance as well as someone from the business side of the Nats? What question would you ask Mike Rizzo today?